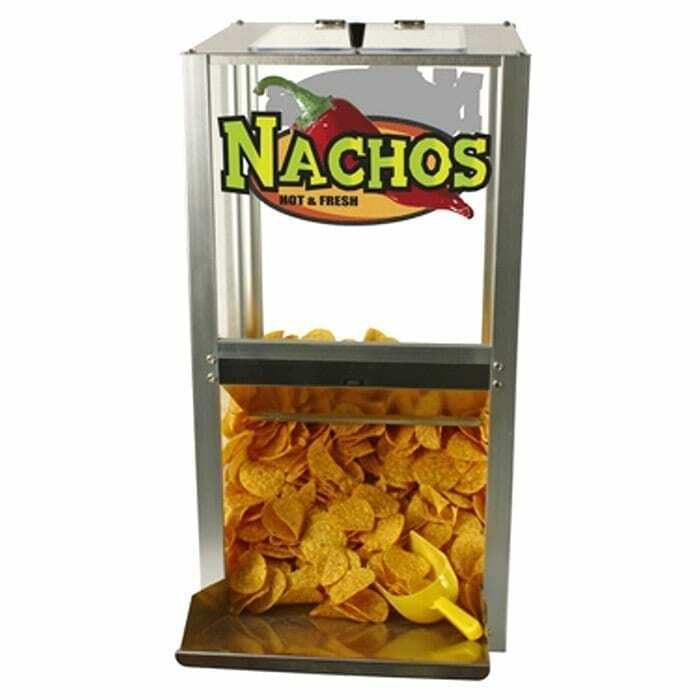 Nacho Machine rental is a fun addition to your concessions offering. Concessions like nachos, hot dogs, peanuts, popcorn, cotton candy, and snow cones are an American carnival tradition. Now you can have these fun foods at your next party or event, just like the pros. People love nachos at movie events, sporting events and carnivals. Indulge your guests with warm chips and melty cheese and toppings with this delicious snack warmer. **For large events upgrade to a larger cheese warmer.